Home » HISTORY OF ANTIDEPRESSANTS – Just Where Did Your Medication Come From? Eli Lilly brought us the entire SSRI antidepressant era when they introduced the first SSRI Prozac the end of 1987. Since they were the ones that developed and introduced the first of these serotonin specific antidepressants anyone taking an antidepressant should want to know more about them and their history as all of the new antidepressants are clones of Prozac and Lilly has introduced another one called Cymbalta that is now facing a huge lawsuit for the withdrawal affect associated with it. But Prozac was the mother drug of them all. So how and why did they develop and introduce this drug? 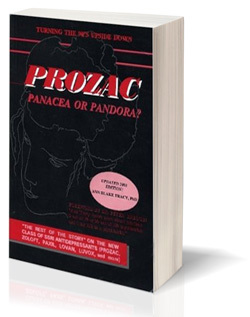 I was shocked by what I learned when doing the research to write my book about antidepressants: “Prozac: Panacea or Pandora? Our Serotonin Nightmare!” – the first book on the market discussing the adverse effects, physical as well as psychiatric, on the SSRI antidepressants. 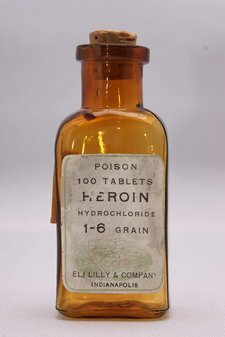 I would think that anyone taking one of these drugs would really want to know this about the history of Eli Lilly and how Prozac was born and brought to us which literally opened the SSRI/SNRI antidepressant Pandora’s Box we are all now working so hard to close shut in order to stop the suffering. First: Prozac’s Approval Was Bought!! Yes, I did say “BOUGHT” the approval for Prozac! It was a bribe to the man in charge of drug approvals in Sweden. Once the managing director for Eli Lilly in Sweden he now wants “to see chemical medicine taken out of the equation.” John and I did our first show together in 2010 in Provo, Utah. I believe it was his first in America discussing how he, under direct orders from his superiors at Eli Lilly, bribed the approval for Prozac (You will not believe how little he says in this interview that he paid to get that approval!!) in Sweden thereby paving the way for the approval of all the Prozac clones that followed it – Zoloft, Paxil, Luvox, Sarafem, Stratera, Celexa, Lexapro, Effexor, Remeron, Pristiq, Cymbalta, Brisdelle, etc. Why Sweden? That was because Sweden was known for their strict approval guidelines for medications so that other countries would rush the drug through the approval process in their countries with little scrutiny. This is how the SSRI antidepressants were born as the designer drugs in our world which now bring in $11 Billion annually. If anyone really thought Prozac’s approval had anything to do with any benefit the drug might have or that the benefits were backed by scientific research then here is their wake up call! The next time anyone attempts to defend an antidepressant and states that any of these antidepressants are helping patients please share this post with them so that they learn the truth about these drugs and their birth!!! In doing that PLEASE share with them the WITHDRAWAL WARNING posted below! If you do not know what you are doing in withdrawal it can be the most dangerous period of taking an antidepressant and tragically MOST doctors remain unaware of that fact! Eli Lilly is also the developer and held the patent on the synthetic version of LSD which they developed for the CIA to use for mind control – it was the CIA’s drug of choice for that purpose. So much so that the CIA took 80% of their initial budget to buy up all the LSD they could find. LSD was originally introduced by Sandoz in Switzerland as a way to chemically induce insanity. Of course there were few who lined up to take the drug knowing that, but when Lilly developed their synthetic version of LSD they also developed a whole new marketing plan for it. The world would soon hear that this new wonder drug was going to cure mental illness, cure alcoholism and aid in psychoanalysis! Clearly Lilly understood that it’s all in the marketing!! The following is taken from the 1994 edition of Prozac: Panacea or Pandora? Our Serotonin Nightmare! There has since been a 2001 and 2014 edition of the book and I am still waiting for the world to catch up with all the research on these drugs that was in the first edition of the book! 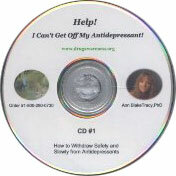 The book is availale on our website at www.drugawareness.org and can be obtained three ways: #1 download an ebook for $25 #2 order a DVD containing a triple combo of the ebook, the withdrawal CD, and a two hour lecture by me for $39 #3 order a month long membership at drugawareness.org for $30 which gives access to the ebook, the withdrawal CD and ALL 7 DVDs for a month (a $113 value) plus dozens of radio shows done over the past 25 years with multiple in depth 3 & 4 hour long interviews. “Even though secret operations ended in 1958, the CIA made it clear [when LSD was banned by Congress in 1966] that they would continue to keep a close eye on contemporary research by the pharmaceutical companies as they proceeded with their research for a sort of behavior-changing drug – one to fit their specifications for mind control which might be marketed for use in psychoanalysis. “Apparently they retained a hope that the pharmaceutical companies might yet find a drug to fit their specifications for a mind control agent through research in psychiatric drug treatments. Their suggestion that they would keep a close eye on the progress of the commercial interests should have been quite an incentive for any aggressive profit seeking pharmaceutical firm. How many of the psychoactive drugs presently on the market are there as a result of this hope of landing a government contract? Only a Coincidence That Lilly Gave Us LSD & Prozac? Is it only a coincidence that the same company who supplied the CIA with LSD for mind control and patented and planned to market LSD as a cure for mental illness would be the same company to introduce the SSRI antidepressants to the market two decades later after the CIA made it very clear that they would continue looking for a drug similar to the one Lilly had developed for them – especially when these drugs produce a gradual LSD effect by increasing serotonin? I say gradual because when LSD goes into the brain it reads it as a flood of serotonin into the brain because LSD mimics serotonin to produce its hallucinogenic effects. Rather than flooding the brain with serotonin the SSRIs and SNRIs increase serotonin gradually so that it becomes more confusing to the user and the observer that this chemically-induced mental illness/psychosis is actually a drug effect. “The CIA had a real heyday with LSD research. In 1953, as they turned a hopeful eye to LSD, their secret project, focusing on chemical warfare and mind control, MK-ULTRA, was born – a project which would not be known to the public for many years to come. 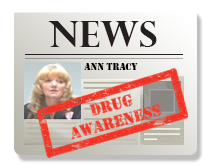 They were initially funded $300,000 for investigation of several drugs from cocaine to nicotine. The Agency considered LSD to be of such promise that in November, 1953 they sent two men with a black bag containing $240,000 (80% of their funds) in cash to Switzerland to buy up Sandoz’s entire supply of LSD. They were authorized to purchase an unbelievable amount of 10 kilos – 100 million doses. Much to their surprise they discovered that Sandoz’s total output of LSD since its discovery in 1943 was only forty grams, not quite two ounces. After negotiations Sandoz agreed to supply the CIA with 100 grams of LSD every week and also to notify them of anyone else who was ordering the drug. The CIA then turned to Eli Lilly, the makers of Prozac (who had previously introduced Heroin and Methadone in their products list) as a domestic source for LSD. They proposed that Lilly develop a synthetic LSD since the natural source of LSD, ergot fungus, was difficult to cultivate. A company memo dated October 26, 1954 by Eli Lilly to then CIA head Allen Dulles announced that they had been able to bypass the need for ergot fungus in processing the drug and had come up with an LSD made solely from synthetic sources. They went on to suggest that with this breakthrough in mass production that “in a matter of months LSD would be available in tonnage quantities.” Lilly also went on to state that they were continuing their research to develop a “covert use” of LSD. (ACID DREAMS) The following December LOOK magazine reported that LSD “may actually help psychiatrists clear up mental illness.” It was also promoted as a cure for alcoholism and as an “aid in facilitating psychoanalysis”. In fact, the LSD advertising campaign now has an all too familiar ring as we recognize many of the same claims Lilly has been making for Prozac over the last six years. Their fronts were the Josiah Macy Foundation and the Geschickter Fund for Medical Research. They paid out as much as $40,000 per year for research at Mass. Mental Health. Harold Abramson in New York received $85,000 for his research project. Others included Carl Pfeiffer at the University of Illinois, and Harold Hodge at the University of Rochester. As reported by Dr. Robert F. Ulrich and Dr. Bernard M. Patten at the Annual Meeting of the American Academy of Neurology (1990), in Miami, Florida, the men hired to carry out this “morally questionable research” were given government grants to do so – our tax dollars at work. The CIA had trouble obtaining subjects for their research so they turned to George Hunter White. He referred to the drug as “Stormy” to describe the unpredictably variable effects of LSD. During the day White was busily engaged tracking down drug pushers, yet as the sun went down he became the pusher. White employed prostitutes for a series of experiments from coast to coast. April 13, 1953, a brothel operation, dubbed “Midnight Climax”, was born. They disguised their “laboratory” as a bordello where the unsuspecting “clients” were brought in, secretly dosed with LSD and then their behavior was observed behind a two-way mirror. Just as the Nazi doctors in Dachau preyed on the helpless, the CIA searched for subjects who were unable to resist. They used prisoners, mental patients, sexual deviants, the terminally ill, foreigners and ethnic minorities. The Addiction Research Center of the US Public Health Service Hospital in Lexington, Kentucky was a place for heroin addicts to kick their habit. It was also one of fifteen penal and mental institutions the CIA used as a supply of guinea pigs for its covert drug research. They worked hand in hand with the National Institutes of Mental Health (NIMH). “When the CIA came across a new drug (usually supplied by American pharmaceutical firms) that needed testing, they frequently sent it over to their chief doctor at Lexington, where an ample supply of captive guinea pigs was readily available.” (ACID DREAMS , p. 24) It has since been disclosed that by the mid 60’s 1500 unsuspecting military personnel were also used as guinea pigs in LSD research. Some have filed suits against the government for damages. Although records indicate that as early as 1953 the ridiculously dangerous drug-induced antics of the CIA turned deadly, they did not cease their LSD “research” until 1958. The deadly 1953 incident was the case of Dr. Frank Olsen, an army doctor who specialized in designing chemical warfare projects like lipstick that would kill the minute it touched the skin, deadly deodorants, etc. It was decided that he would make a good candidate for LSD experimentation. Two days after unknowingly ingesting LSD at a MK-ULTRA party where he drank punch which had been secretly spiked with the drug, he believed he was going insane and committed suicide by jumping to his death from a New York hotel window. It was not until years later that the truth came out and in 1979, twenty-six years after his death, his widow was finally awarded $750,000 in connection with her husband’s death by the U.S. government. So with our money these men were paid their salaries, they used our money to pay for the LSD and the “research,” they used us as uninformed guinea pigs and then they had us pay for the damages. They certainly knew how to add insult to injury. Even though secret operations ended in 1958, the CIA made it clear that they would continue to keep a close eye on contemporary research by the pharmaceutical companies as they proceeded with their research for a sort of behavior – changing drug – one to fit their specifications for mind control which might be marketed for use in psychoanalysis. Apparently they retained a hope that the pharmaceutical companies might yet find a drug to fit their specifications through research in psychiatric drug treatments. Their suggestion that they would keep a close eye on the progress of the commercial interests should have been quite an incentive for any aggressive profit seeking company. How many of the psychoactive drugs presently on the market are there as a result of this hope of landing a government contract? Knowing the history of these drugs makes it difficult, if not just plain insane, to trust the pharmaceutical companies! When the CIA’s Inspector General analyzed the ethics of MK-ULTRA in 1963 with such morally questionable projects as Midnight Climax, he was more concerned with the public finding out about the project rather than the fact that citizens were being subjected unknowingly to a test of behavior altering drugs! He stated that he feared that public knowledge of this information would ruin the reputations of not only the Agency and their agents, but also put the reputations of the professional researchers in jeopardy. He apparently did not realize that the activities of those individuals had already ruined their reputations and his concern was an afterthought. In light of this information about the CIA and its repulsive beginnings is it any wonder that President Kennedy had called for the dismantling of the CIA just before his assassination? To demonstrate the controversy surrounding the use of LSD in this country, at the same time that the NEW ENGLAND JOURNAL OF MEDICINE called for an end to all research with LSD, what should have been the most unlikely organization of all, the National Institute of Mental Health was funding 33 LSD projects at the cost of $1.7 million in tax dollars. How long was it before the general public woke up to the psychedelic nightmare they had begun to experience with LSD? By mid 1966 there where three Congressional subcommittees conducting hearings on LSD, the Juvenile Delinquency Subcommittee of the Senate Judiciary Committee; the Subcommittee on Intergovernmental Relations of the House Government Operations Committee, and the Subcommittee on Executive Reorganization of the Senate Subcommittee on Government Operations. In October of 1966 possession of LSD became illegal in every state in this country. Only three years after this presentation was made to the nation’s neurologists, this “crazy faith in better living through chemistry” they expected to never happen again is exactly what Dr. Peter Kramer’s book, LISTENING TO PROZAC, A Psychiatrist Explores Antidepressant Drugs and the Remaking of the Self , is rehashing for us. 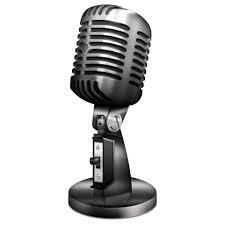 It would be interesting to learn how Drs. Ulrich and Patten feel about Dr. Kramer’s suggestion that we create a better living through the chemistry of Lilly’s latest “wonder drug,” Prozac. In fact it would be interesting to know if Dr. Kramer himself realizes that he is proposing once again Hoffman’s philosophies. As we proceed further and take a closer look at the similarities in action which these two drugs, Prozac and LSD, have within the brain, you will see why it is so curious that such similar arguments have been raised to justify the use of these two Lilly progenies. What debt we owe to those who introduced us to the wonders of LSD. The pharmaceuticals have given us one dangerous and highly addictive psychoactive prescription drug after another: heroin, methadone, cocaine, LSD, the amphetamines and methamphetamines, steroids, PCP, Quaaludes, Extasy, etc., etc., etc. The list goes on and on and has not stopped yet. Once these drugs have been released to the public for medicinal purposes, how do we ever control their use? 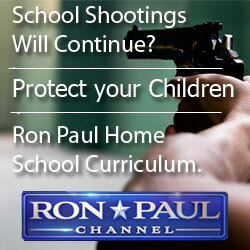 Education as to their effects appears to be our only hope. If we can understand what we are doing to ourselves and the cost involved to each of us personally and then to society as a whole, perhaps we will see the insanity behind our reaching out so rapidly and with such trust, devouring each new drug as fast as they offer one more. This memory of past mistakes with these previous drugs, which time and experience have proven to be extremely dangerous, should warn us of impending problems in the future and instill a far more cautious approach to our use of prescription drugs, especially new ones. Learning from past mistakes is one of our most important reasons for the keeping of records and studying history, because learning from the mistakes of others is far less painful than learning from one’s own mistakes.